Learning to crochet can seem tedious at first. You have to practice the stitches repetitively to get good at them, and many people think that involves endless chains to form boring potholders or other useless items. Fortunately, that isn’t true! You can learn to crochet while creating fun and beautiful projects. 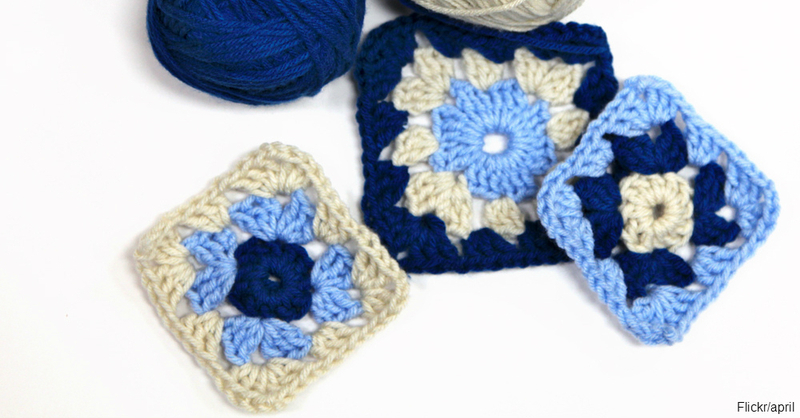 Granny squares are one of the earliest crochet patterns most people learn. They can seem a little useless to begin with, but you can continue to expand the pattern until you eventually get a stunning afghan. This is a great pattern for teaching color changes and other techniques while still keeping it simple enough for beginners to handle, and it starts small enough that it isn’t too daunting. If you or a loved one is a reader, another fun and easy pattern is a crochet bookmark. This can be a great confidence booster since it’s a small project that you’ll be able to finish fairly quickly. Keep it yourself, or give it away as a gift to show off your new skill. Similarly, coasters and place mats are fun and easy projects that let you practice color changes and patterns, but they’re small enough to complete fairly quickly. Scarves are one of the classic crochet designs people love, and they’re easier than you might think. From simple openwork designs based on the standard double crochet stitch to more complex patterns designed to teach you new skills, there are plenty of patterns available that are suitable for people new to the art. Infinity scarves and cowls can also make great beginner projects. If you prefer a funkier style, consider making a crochet chain necklace or a headband. These simple patterns use single and chain stitches, but they can still teach important skills, such as how to join your work. Crochet is a fun skill to learn, though it can be a challenge at times. Check out these simple troubleshooting tips to help you avoid common mistakes.